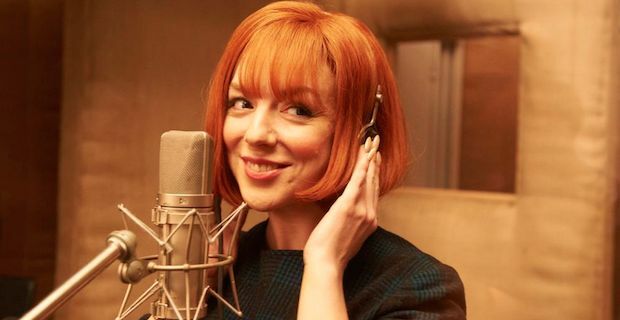 The final episode of the Cilla, the 3 part Cilla Black serial created by ITV, aired last night and fans were treated to a glimpse of the more ruthless side of Black through an amazing performance by actress Sheridan Smith. The final episode revolved around the tragic death of Brian Epstein and followed the beginning stages of Cilla's TV career, which Epstien actively encouraged. Epstein, perhaps best known for managing The Beatles, discovered Black and turned her into a star as the only female on his roster. He was gay but back in the 60's this was not something that you could be completely open about and he tragically completed suicide in 1967 a couple of years before homosexuality was finally decriminalised in England. The opening two episodes focused more on a humane and soft-centred Cilla as Smith gave the Liverpool legend an unmistakably sweet air. However, this episode Smith was able to demonstrate just how versatile an actress she really is as she showed a much tougher Black who didn't fancy being given a song called Alfie to sing and quickly retorted "Alfie?? You call your dog Alfie!". Cilla was attempting to break into the lucrative American market with Alfie but ultimately failed. There is light at the end of the episode's tunnel though as Cilla manages to get herself a gig as the host of her very own entertainment show. We all know what has happened in the intervening decades as Black worked her way to the highest paid UK TV personality on the box in her prime. Smith was able to show the trepidation with which Black initially felt toward moving into the world of television. Epstein had no such doubts about her potential though and he pulled the strings with the BBC to ensure that an iconic television career was launched despite his untimely death at just 32 years of age.